Potent with Unique Fruit & Nut Flavours! Phantom Cookies is one of the best Cookie strains out there, but Barney's Farm still saw room for improvement. With Phantom OG, they kept the unique flavour & incredible quality while boosting the yields, the power & the density with a touch of OG Kush. It's a deadly mix! Colossal Yields & Pungent Taste for Your Patio! If you're looking for a powerfully mellow high to unwind at the end of the day, look no further. Phatt Fruity is the perfect solution for areas with restricted height, without compromising your yields. 19% THC, 550 gr/m2, 80 cm or Less! 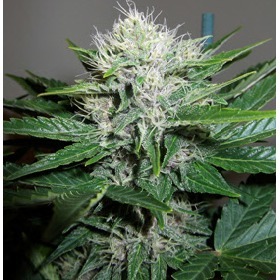 To create this potent AutoFem, Dr Krippling combined his best Diesels for incredible flavours & smells including lemon, orange, pineapple, grapefruit ... and dill! Nothing Beats AFS's Pineapple Chunk! Potent doesn't even begin to describe Pineapple Chunk! With these babies, you can (almost) here your brain cells sizzle. Can you say D-A-N-K? Incredibly Lush, Decadent Aromas & Flavours - Yum! Ready in 6 Weeks, But Even Better at 8! Intense Head Highs, Unforgettable Aroma! Pineapple Express is world-famous & for very good reason - this award-winning G13 Labs strain is a potent brain-bender with incredible flavours! Even Faster at 45 Days - 1300 gr/seed! At G13 Labs, the hits just keep on coming! Pineapple Express #2 is now ready in as little as 45 days with even bigger yields. Brilliant! Hedonism ruled the day Fast Buds released Pineapple Express Auto! This pineapple scented & flavoured AutoFem is a luxury strain with a sensual high that'll erase all your inhibitions. Fast, Fruity & Perfect for Smaller Spaces! 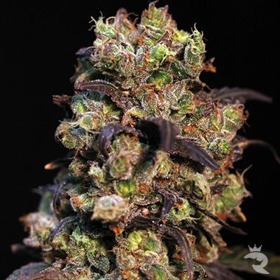 Pineapple Express Auto is a faster, friendlier version of G13 Labs' best selling strain. In 10 weeks or less from seed, these babies will do their thing! Sweet & Tropical - Ready in 7 Weeks! 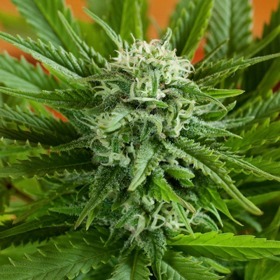 Pineapple Kush will be ready before you know it with fast, 7 to 8 week finishes! 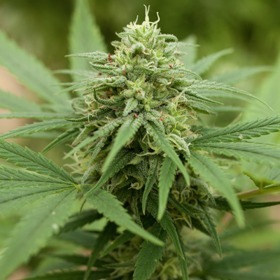 She fast-tracks dense, rocky buds that practically drip with resin & sweet, tropical flavours. Fruity with Notes of Vanilla, Mint & Caramel! 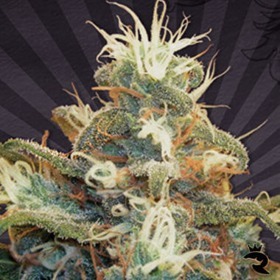 Pineapple Skunk by Humboldt Seeds is a commercial strain very popular for its big production and high quality. It is a super producer, fast and reliable, and it is also very sweet and tasty. If you like fruit-scented weed, you're in for a treat. Pink Citrus Auto delivers a full range of aromas from sweet berries to tangy citrus and everything in between. Your nose will thank you for this one! This Pink Salad X OGRE mix has a definite pink lean, but the yields have been boosted to astronomical levels. The resin is thick, the aroma is intoxicating & the buds are dense. Yeah, baby! Pink Salad Auto Seeds are brimming with rich, exotic flavours & intense aromas that range from super-sweet blackberry to crisp green apple. They're ridiculously good! Super Potent Girl Scout Cookies Cross - 21% THC! 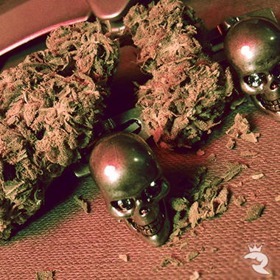 Pink Sherbert is one of the most powerful & penetrating Indicas of all time, and after a short 8-week flowering time, gorgeous, glinting gratification can be yours. PolarLight #3 is unbelievably frosty. This trippy auto Haze is a feminized speed freak delivering smooth smoke of the highest quality in just 10 weeks from seed!